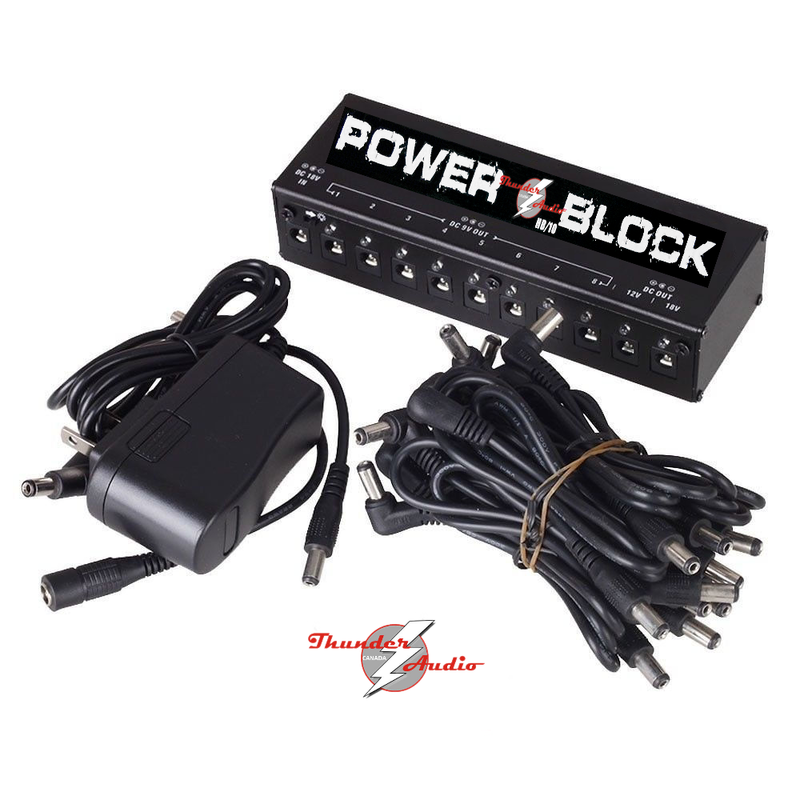 Categories: Adaptors & Connectors, HOT BOX, ULITE Series, Power Supply's. Tags: box, delay, effect, eleclady, guitar effects, hendrix, hot, hot box, hot box canada, jimi, joyo, looper, moen, moen gec9, mooer effects, pedals, reverb, spark, stompbox, thunder audio canada, tone city, vibe, vibrato. 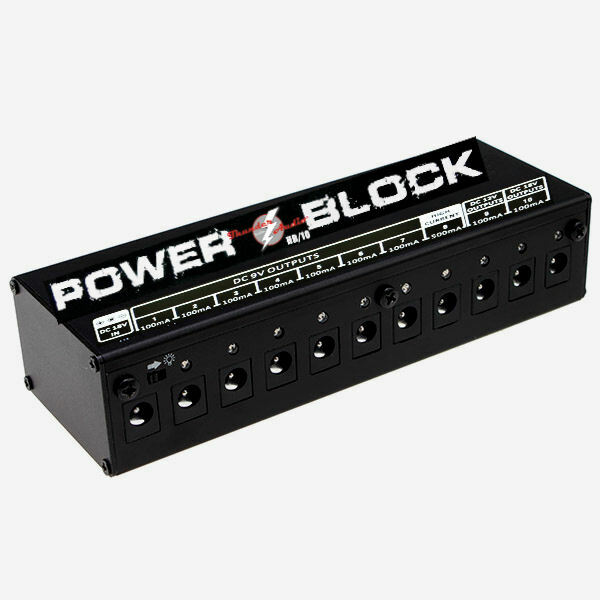 Power 10 of your favorite effects with 1 simple unit. 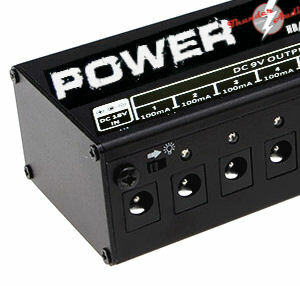 Standard 9V DC, 100ma output per outlet. 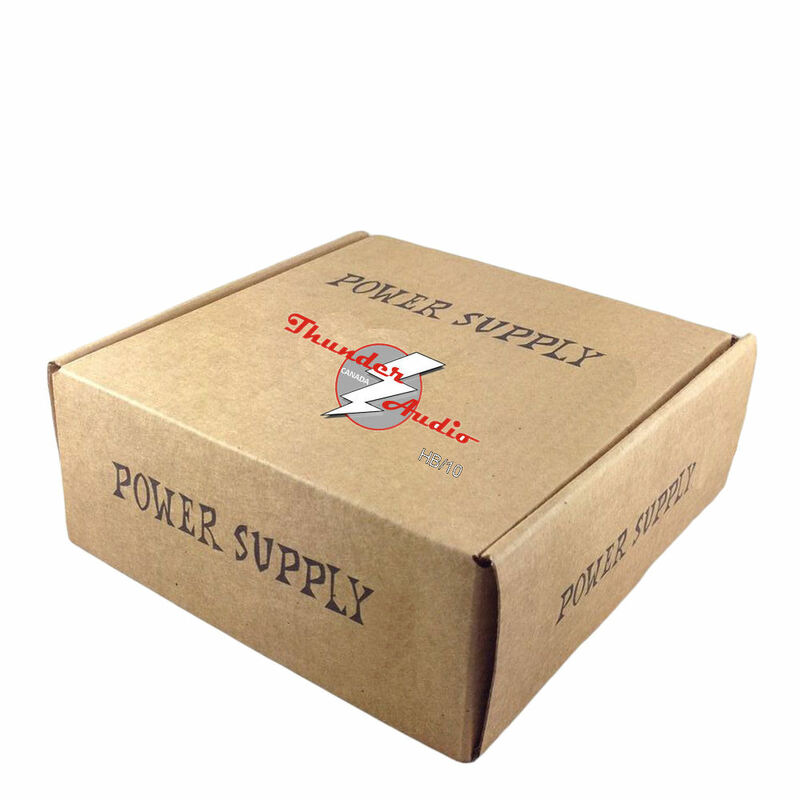 These outputs will power the vast majority of analog pedals, and many digital pedals. The LEDs that accompany these outputs will illuminate when switched on, indicating normal functioning. If the corresponding LED flashes, it indicates instantaneous over current, in which case the output will limit itself to 100ma. This is a 9V DC 500ma output. This is the output to use for pedals that draw more current (usually digital pedals). 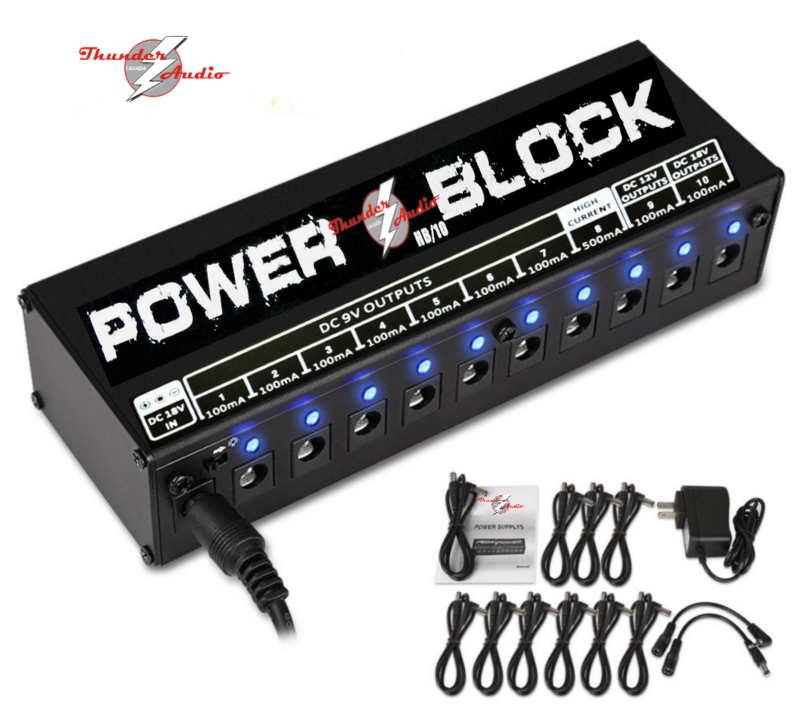 You are still able to power your lower current pedals with this output. Like the other outputs, the LED will illuminate when switched on, indicating normal functioning. If the corresponding LED flashes, it indicates instantaneous overcurrent, in which case the output will limit itself to 500ma. Some pedals can, or must run at higher voltages (contult your user manuals). 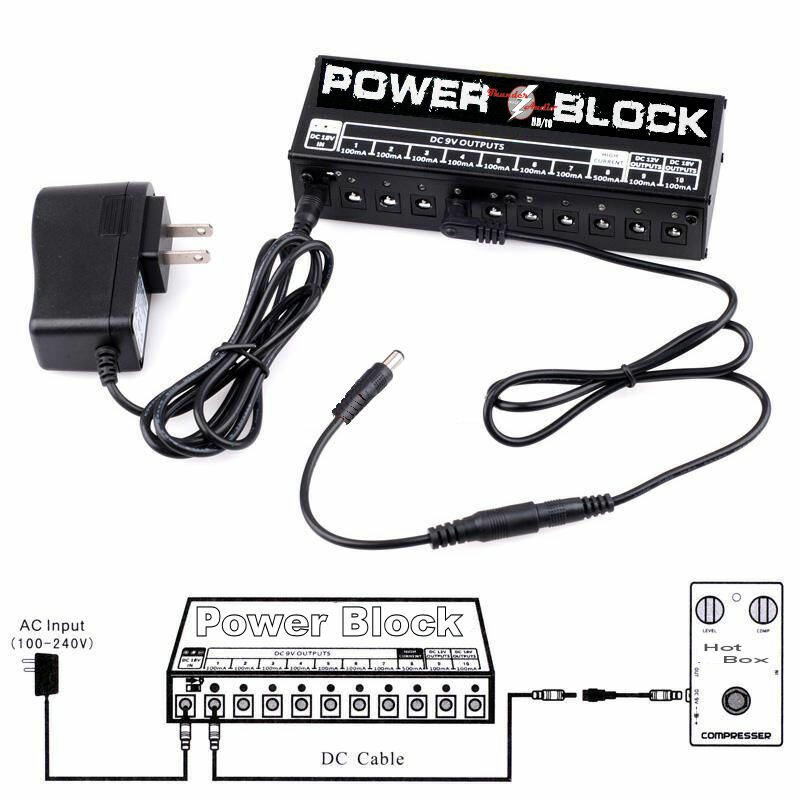 Use the 12V output for these. The LEDs will illuminate when switched on, indicating normal functioning. If the corresponding LED flashes, it indicates instantaneous overcurrent, in which case the output will limit itself to 100ma for each of these outlets. All 10 outputs of this unit have separate short-circuit protection, i.e. a short circuit in one channel won’t affect the other channels’ function. When the LEDs are illuminated, the LED light of the short-circuited channel will turn off, while the lights of the other normally operating channels will remain on. This helps locating faults if short circuits occur among effects. 2 polarity reversal cables and instructions.